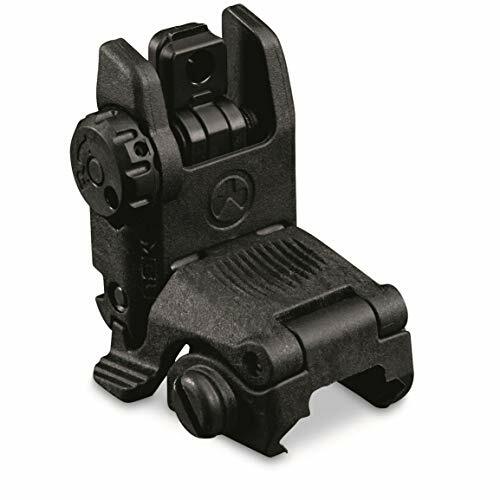 The MBUS (Magpul Back-Up View) is a low-cost, color shot built, folding back-up view. The MBUS Face View is modifiable for altitude and fits most 1913 Picatinny-railed palm guards. Produced in U.S.A. Impact insusceptible polymer building and construction delivers lightweight and resists operational misuse. Spring-loaded turn up view conveniently switched on from either edge or even through pushing the top. Detent and spring season pressure maintains view set up however allows for unblocked folding under impact, etc. Clamps to many any MIL-STD-1913 Picatinny/STANAG 4694 railed palm guards and delivers the same height-over-bore as standard A2 irons. Preventive wings shelter the spring-locking A2 front view message. Elevation adjustment device included, however many aftermarket A2 front view adjustment tools might be made use of also. NOTE: Can not be placed to a railroaded gasoline block due to excess heat concerns. Face MBUS need to be placed to a railroaded fore end on the same plane as the receiver rail. Because of this the view is also not compatible with MOE Hand Shields.